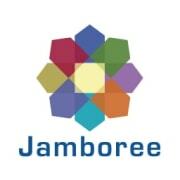 Jamboree Housing is a non-profit housing developer delivering high quality affordable housing and services that transform lives and strengthen communities. Our properties offer free services to our residents including after school, adult and senior programs. Jamboree is currently seeking an ESL tutor at our Fontana property, Valencia Woods. Tutors will assist adult residents with ESL tutoring both one-on-one and group settings. Bilingual is preferred but not a requirement. We are flexible based on your schedule but weekday afternoons are preferred. Program hours operate Monday-Friday. Recommend 1 day per week.